TMJ disorder is notorious for causing jaw pain, headaches, and other unpleasant symptoms. If you suffer from this condition, Botox might be the last thing on your mind. After all, Botox is famous as a treatment for wrinkles — how could it possibly provide TMJ therapy in Palm Bay? You might be surprised by the answer. Let’s talk more about this fascinating subject. TMJ disorder, sometimes simply called TMD, is a condition wherein the joints that join the jaw to the rest of the skull are put under excessive strain. It can be caused by a long list of factors, including stress, grinding and clenching of the teeth, malocclusion (a bad bite), and more. Folks with TMJ often have tight facial muscles and chronic pain. Botox is a neurotoxin that temporarily paralyzes muscles and forces them to relax. Therefore, when it is injected into the masseter muscles (which control jaw movement), it can reduce the tension there and provide effective relief from the agony of TMD. 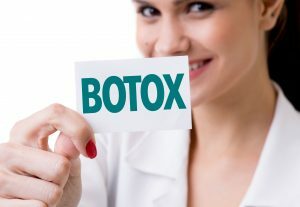 To find out if Botox in Palm Bay injects may be able to fight your TMD pain, it’s wise to consult with a dentist who has extensive knowledge of how facial structures work. After evaluating your situation, your care provider will design a treatment that will hopefully help you get back to chewing, smiling, and speaking without discomfort in your jaw. If you and your dentist decide that Botox is right for you, you’ll receive injections in your masseter muscles. The needles used for Botox are quite small, so you should hardly feel a thing during your treatment. Some folks experience a bit of swelling or bruising at the injection site, but such side effects are rare. Your total procedure shouldn’t take longer than 30 minutes or so. Immediately after your treatment, you should notice a reduction in soreness in your facial muscles. Within a week, your jaw pain, muscle tension, and TMD headaches may be greatly reduced. Eventually, your body will finish metabolizing the Botox, and its results will begin to wear off. This happens at different rates for different people, but you should be able to expect your pain relief to last for at least three to six months. When the discomfort returns, you can visit your dentist for another Botox treatment. Of course, you may also want to explore other ways of treating your TMD. Facial massage, an occlusal splint (which repositions the jaw during sleep to help it relax), and stress reduction therapy may also be useful in treating your jaw and getting your smile — and your life — permanently back on track. Botox isn’t just for fighting wrinkles; it may be exactly what you need to say goodbye to your jaw pain! Dr. Christopher Nowacki is proud to be your general dentist in Palm Bay. In addition to providing services that promote healthy teeth and gums, he also puts his expertise to use to help patients who are suffering from TMD. If you would like to talk to him about your jaw pain, contact our office at 321-724-9300.